This evening my sister handed me her camera wondering why it did not work. She just put new batteries inside and yet it was dead. I checked to see if she had the batteries in the right direction. (I have made that mistake a few times in life.) But she had done it correctly. After fussing with it for a while I decided to get another set of new batteries and bingo everything came to life. It works. The new batteries she had used were dead. As I held the batteries in hand I remembered a marvelous passage in Jeremiah. He is taunting his people about serving useless Gods. He wrote, “Everyone is stupid and ignorant. Metal smiths are put to shame by their idols. Their statues are false gods. They can’t breathe. They are worthless jokes.” Jeremiah 10:14-15. We serve such a practical loving God. His commandments are there to protect us and to help us avoid major pitfalls. Only He is power and life. Don’twaste yourself any other place. Written by Roger Bothwell on December 3, 2008. 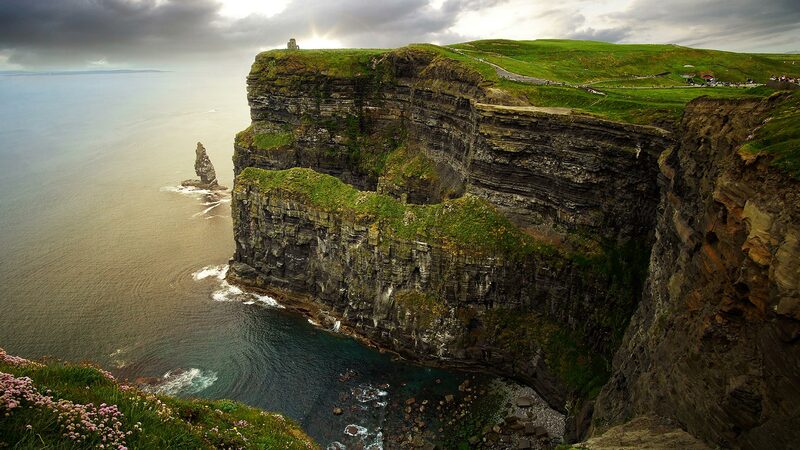 Cliffs of Moher photograph by FX Extreme.